What is going on in Germany? The country which is supposed to lead European’s economy is plagued by anti-Muslim movements like Pegida, several important strikes (the last one from the Lufthansa pilots), and today the Blockupy movement protests in Frankfurt. They demonstrate against the inauguration of the headquarters of the European Central Bank, hosted in the new Eurotower. 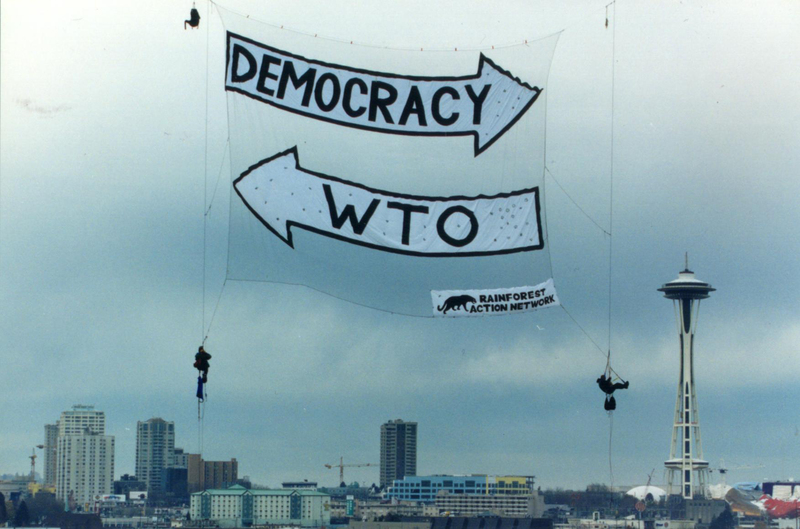 Blockupy is an anti-capitalist network including around 90 organizations from several European countries, showing interesting similitudes of style and content with the protests against the WTO in Seattle in 1999. With a populist touch, they want to ”draw attention to ECB policies which, they say, have favored the rich over the poor, the banks over the people, the creditor class over debtors – policies that have amounted to bailing out irresponsible financiers at the expense of ordinary citizens”. This is not new, and in times of economic crisis it is not even surprising. What is partially unexpected, is the presence of two elements that apparently clash with each other: carnival and violence. A creative and ironic facade brings on stage the carnival of politics typical of populism, enacting a ritual tipping of the social order which presents an inverted pyramid, with the common people on top and the political and economic elites on the bottom, where taboos are broken, and “the people” takes its symbolic revenge. But carnival can also enact e true overturning of the social reality, at least for a short time-span, and can potentially be violent. Is this another cycle of contention, or rather an isolated outburst of social anger? For the moment, what is certain is that Europe is changing, austerity is not a dogma anymore, and the global economic institutions are under pressure. The Occupy Wall Street movement arrived on this side of the Ocean already years ago, but it is probably now that the potential for a popular consensus shows up in full force. Activists are climbing the towers of power once again, the cars burn in the streets, Podemos tries to follow Syriza on the anti-troika path. Germany is burning slower than the rest of the Continent, but there is room for change. As Pegida and Blockupy clearly show, now it is time to see in which direction the wind will fuel the flames.